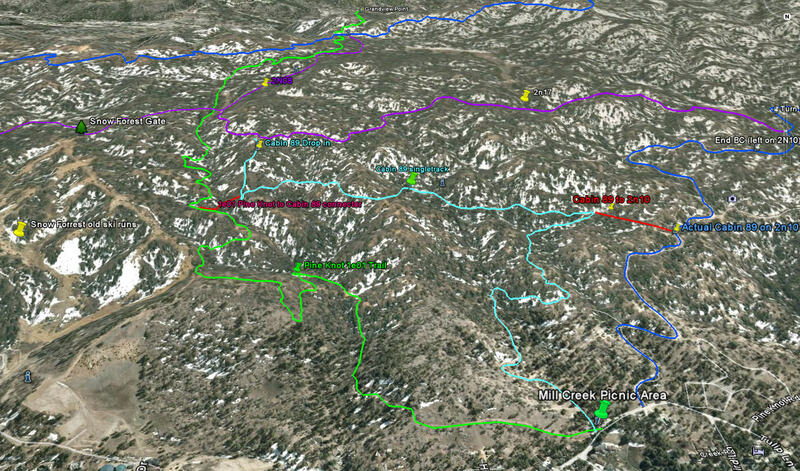 Pine Knot Trail -1e01 - Big Bear Mountain Biking Trail Guide Maps GPS - Hiking Trails too! Distance: Just over 3 miles! Pine Knot Trail is the longest singletrack on the South side of the lake. Its a great MTB downhill but can also be ridden or hiked both ways. Not sure why elevation aren't working here but distance is accurate. Download bigger version of this 3d image. This video starts where the green and purple tracks meet on the map above. If you start from Grandview point you will get a longer ride.